Your Chinese company's accounting and tax affairs. Handled. Making your business 100% compliant in China and saving you time, stress, and money. Unlike many other countries, China requires companies to file tax returns monthly, for individual income taxes, and quarterly for VAT and corporate income taxes. Your Chinese company is also required to undergo an annual accounts audit performed by a certified public accountant (CPA). We understand that you want to do business in China as seamlessly and compliantly as possible, so our expert local accountants handle your accounts for you while maintaining high-quality records which comply with Chinese government accounting standards. Our longer-term aim is to build your company the highest possible tax rating with the Chinese tax authorities so your business is held in very good standing. China tax rebate - Our accountants examine your accounts to find and deliver the maximum China tax rebate to you for a small percentage of the recovered funds. 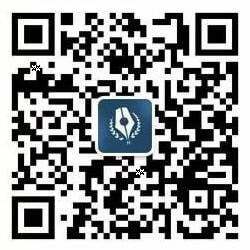 Opening Chinese company bank accounts - Assist you to open the basic RMB account and capital USD account (for initial registered business capital) - this is included. Arranging a CPA firm to issue the Capital Verification report for when capital is remitted into your company capital account from abroad. Feel free to contact us to inquire about any of these additional services if they fit your needs (most new Chinese companies would require one or more of these). Need help with your accounting now? Do you need to assure that your company's accounts are compliant? Do you currently suffer from tax or accounting issues and need experienced local assistance to put them right? Take advantage of our expert accounting services to ensure that you are paying the right amount of tax, gaining the most benefit for the tax you pay, and keeping compliant books. Why trust our accountants with your company accounting? If you're unsure whether you should work with a third party accountancy firm, or hire your own Chinese accountant, let us break down the benefits of outsourcing to Hongda.  Our goal is to offer you peace of mind that your accounting is being handled correctly by local experts, but with affordable, low-risk services.